Mangalore Electricity Supply Company Limited (MESCOM)/ Bangalore Electricity Supply Company Limited (BESCOM) are released a recruitment notification to recruit Assistant Engineer Posts recently. Who are eligible they can apply online mode. Here I am sharing previous papers of MESCOM or BESCOM Assistant Engineer, Model Papers, Sample Papers. Who are preparing for Assistant Engineer jobs they need to check previous papers for better preparation and getting good marks. We are trying to keep last 10 to 5 year s question papers. If you any old question papers please share with us. AE Electrical, Junior Engineer, Linemen. Below are model papers and previous Papers of Assistant Engineer. We will come back soon with BESCOM/ MESCOM Previous Question Papers. I think these question Papers will help you lot. 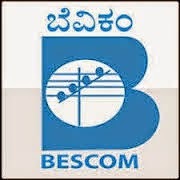 BESCOM has issued a recruitment notification to recruit 2603 Junior Lineman posts. Candidates who are applied and preparing for these jobs they must and should check previous question papers, syllabus of Lineman and question paper pattern for best preparation.